In his late work, Gulammohammed Sheikh has extended his career-long exploration of narrative, autobiography, and place-making by experimenting simultaneously with new media and old forms of visual storytelling. This paper focuses on Kaavad: Travelling Shrine: Home (2007), a three-dimensional painting modeled on the travelling shrines used by itinerant bards. 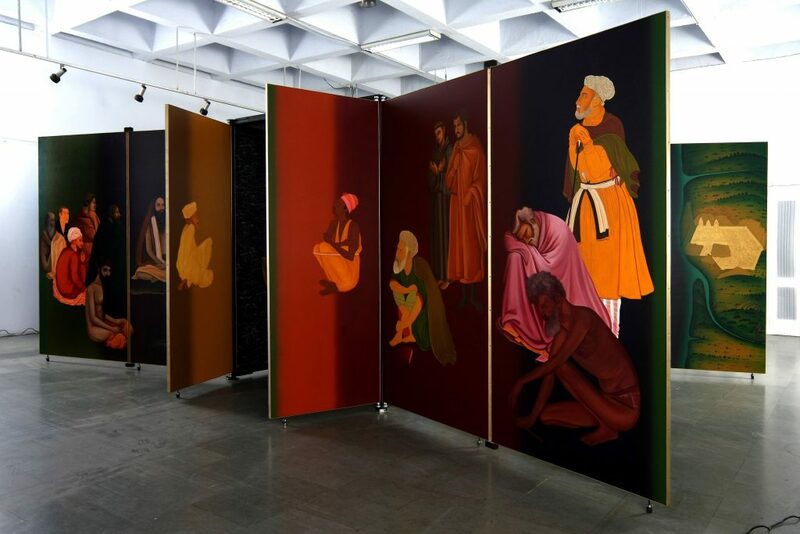 It argues that Sheikh’s Kaavad, in both its representation of his own past work and in its careful assembly of an historical archive of images and figures, extends his inquiry into the relationship between painting and modernity, which appears here as a secular critique of art’s secularization. Though sheltered in known artistic forms and authoritative historical precedents, it imagines alternative futures for the past and, therefore, provides a utopian alternative to the present. Dr. Zitzewitz is Associate Professor of Art History and Visual Culture and core faculty member in the Global Studies in Arts and Humanities program at Michigan State University. She earned her Ph.D. in Anthropology at Columbia University. Her book, The Art of Secularism: The Cultural Politics of Modernist Art in Contemporary India (Hurst/Oxford, 2014), won the Edward C. Dimock, Jr. Prize for the Humanities from the American Institute for Indian Studies and was named a book of the year by The New Republic. Her new research is on the transformation of Indian and Pakistani contemporary art after the liberalization of India’s economy. She began this work by curating exhibitions by Pakistani artist Naiza Khan and Indian artist Mithu Sen, whose work is pictured above, at the Eli and Edythe Broad Art Museum at MSU.